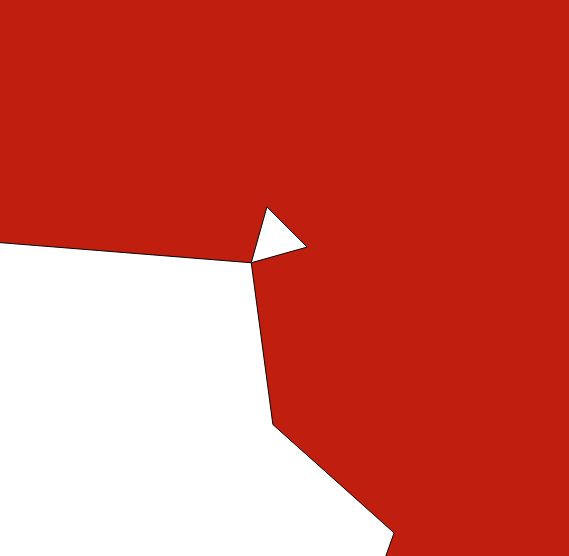 I have created a polygon from grass gis and found small triangle like structure inside the polygon (sometimes at the edge to outside), that I want to remove/fill. I tried with geometry check to fix but not succeed. Is there any efficient way to fix that. Browse other questions tagged qgis shapefile grass grass-7.0 or ask your own question. How to force QGIS Centroid Fill inside the Polygon? How to fill in a ring polygon in QGIS 2.2? Forcing QGIS to remove polygon borders?